Nothing screams “I’m an epic failure!” louder than a project developed without the right Software Development Life Cycle (SDLC). 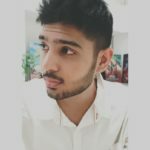 If you are a developer, you might spit out few fancy SDLC Methodologies that are at the top of your mind. Or else, as a client, you may recall some sweet-sounding terms – “Agile’, “Lean’, “Dynamic System Development Model’ (alright, this one’s not so sweet) or ‘Spiral’, because the web development company you hired practices it or at least claims to practice it. We all know that these SDLC methodologies are here for a while now and play a significant role in the success of your software or web application. They aim to provide the best quality product that meets or even transcends the client’s requirements. But the fact is, apart from the ones that frequently make headlines, there is a huge list of SDLC models that you ought to know. 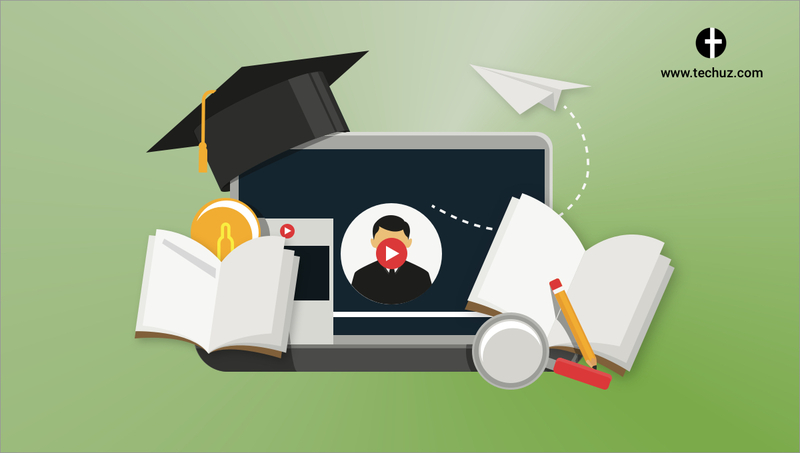 So in this blog, we have made a list of all those SDLC methodologies empowering you with the knowledge to apply them in your project. 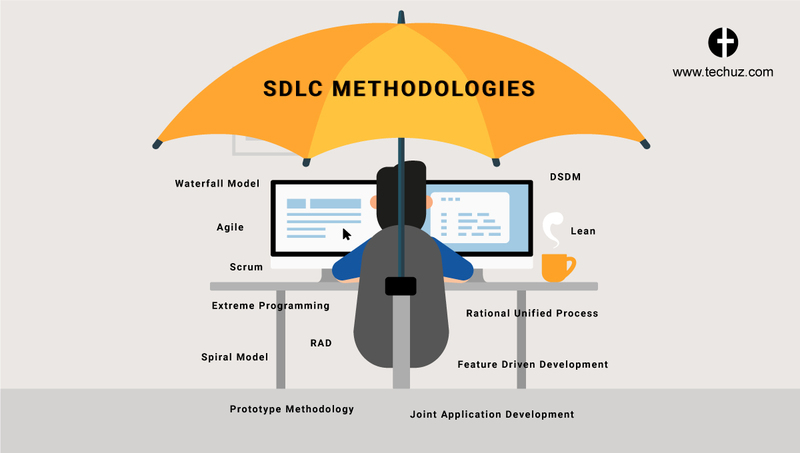 Here, take a look at the top SDLC methodologies with their pros and cons. 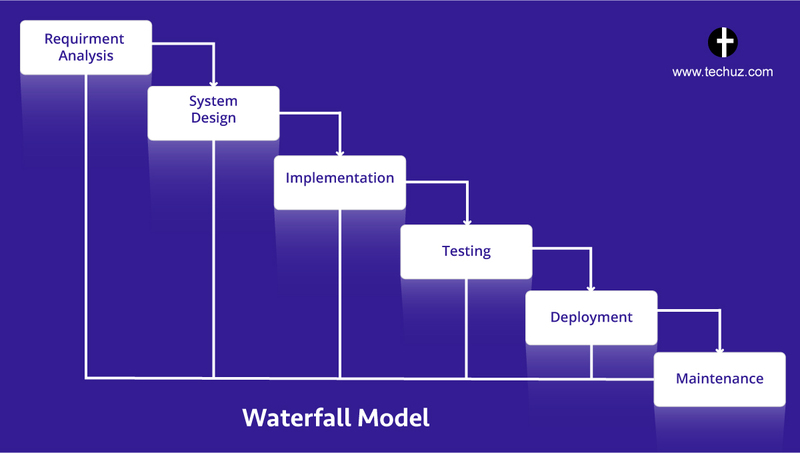 Waterfall Model is among the traditional SDLC methodologies. In fact, it is the oldest, most rigid and even easiest to understand. The idea here is quite simple: develop one phase of the project completely and move on to the next. Develop the new phase and advance to the next one. In this way, the project progresses and moves forward in a linear flow. 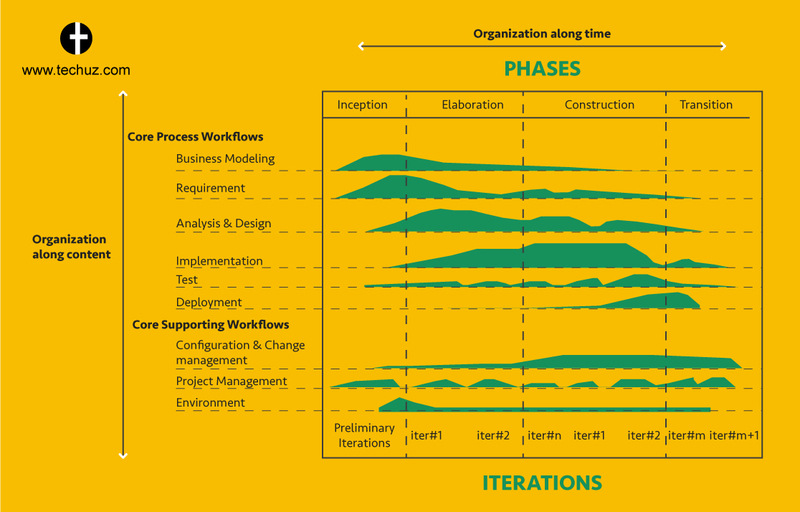 And as per the traditional waterfall model, any changes or modifications can’t be performed once a phase of the project is developed completely. This SDLC methodology is best fitted for small projects where deliverables can be defined clearly. RUP divides the development process into four different phases namely Inception, Elaboration, Construction and Transition. Each of these phases goes through nine different stages shown in the figure above. By doing so it lays organized guidelines and structured templates to follow during the development process. Further, providing a specified plan at every phase helps in utilizing the available resources in an efficient and judiciously way. Joint Application Development was introduced in the early 70s as a software development methodology. However, due to its attribute to give more importance to business issues and solving them by involving the end user, instead of merely focusing on the technical aspects made it viable for any kind of projects. This methodology works on a simple philosophy – involving the client and end-user in the development process results in a project that is more aligned and suitable to their needs. Joint Application Development Model brings the developers, clients and other stakeholders together through a series of meetings and called JAD sessions. These collaborative workshops help to define the requirements more clearly and from different viewpoints of business, end-user as well as developers. 4. The open discussion with key members and customers also helps to diagnose any kind of errors at the initial stage. This results in quality and speedy development. 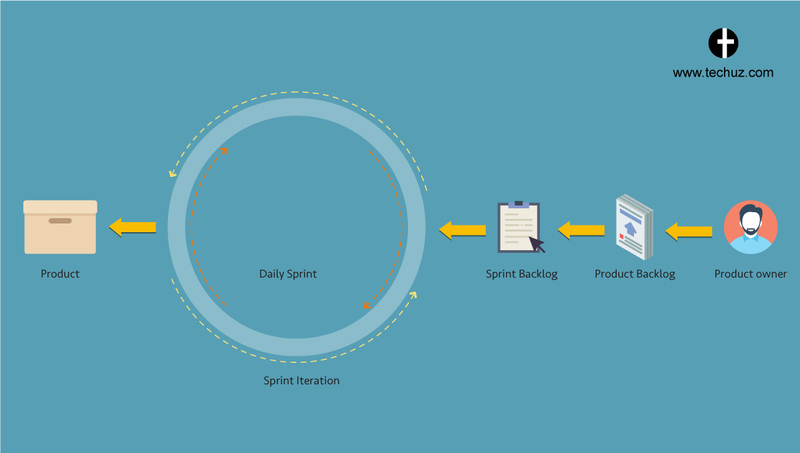 Spiral Model is considered to be one of the best Software Development Life Cycle methodologies for a large and complex project. 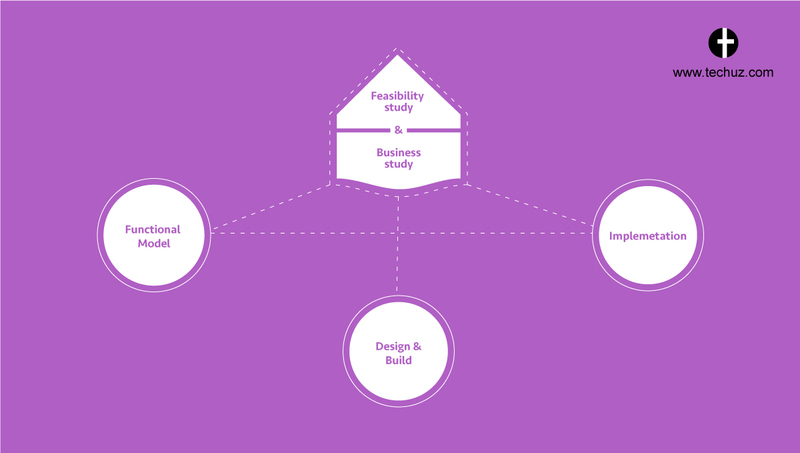 It is an amalgamation of the two methodologies Waterfall Model and Prototyping Model. If you look at its diagram, you can see that the spiral has different loops known as phases. Each phase passes through four different quadrants (stages) and keeps on repeating until the final product is developed. Each quadrant represents different tasks such as determination of requirement, analysing risks, engineering and planning. Thus, each phase of the project passes through. The success of this model largely depends on the risk-analysis, so a high level of risk-analysing expertise is required. 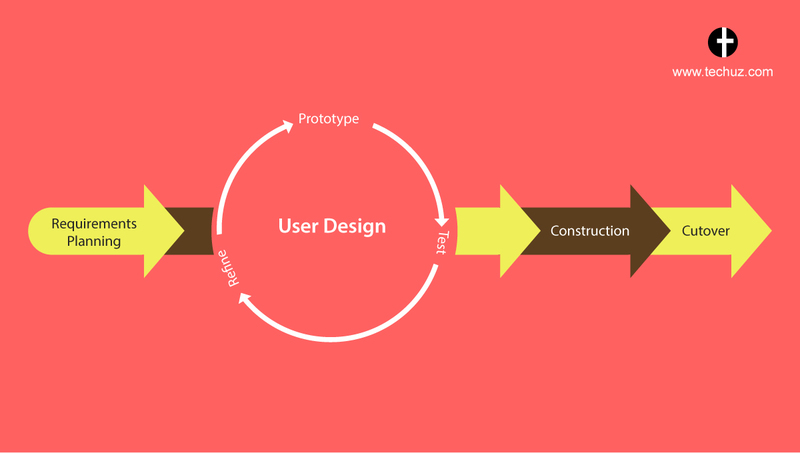 Prototyping model is one of the most used Software Development Life Cycle Methodologies. As per the name suggests, prototypes are created to visualize the functionality and components of the software. In this methodology, a working prototype of the web application is created before initiating the actual development. These prototypes are sent to the customer for feedback and then necessary changes are made. This cycle of prototyping and updating as per customer’s feedback is repeated till the accurate prototype is achieved for the development. Agile encourages building the project progressively rather than holistically. It follows the time-bound and iterative approach that builds software incrementally by updating and delivering small chunks instead of trying to deliver all at once. This incremental development is time-bound and the time period can be between a week to a month. Scrum is another popular Agile SDLC framework widely used by the dev team. Usually people consider it as a methodology; however, Scrum is a framework that that uses Agile methodology for the project development. The project is developed in series iterations and sprints which are time-bound between a week to a month. And its progress is gauged on daily basis. Each sprint initiates with a meeting that plans the list of tasks to execute. i.e deliverables. Then the team starts working on the plan starting from ideation, coding, testing, integration and so on until the product is developed. And at the end of each day, a Scrum Meeting is held between the client, team and Scrum Master updating about the progress of daily tasks. Extreme Programming Methodology accentuates on adaptability and customer satisfaction. The idea here is to adapt to the ever-changing requirements of the project during the life cycle rather than defining the requirements initially and resisting to change on the later stage. 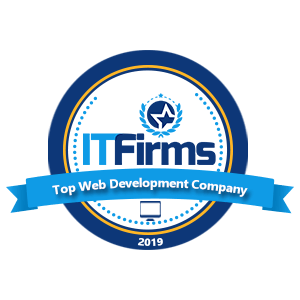 This SDLC Methodology has gained significant favours from varied software and web development companies, as it provides high customer satisfaction and enables the developers to execute the required modifications, making the product impeccable. 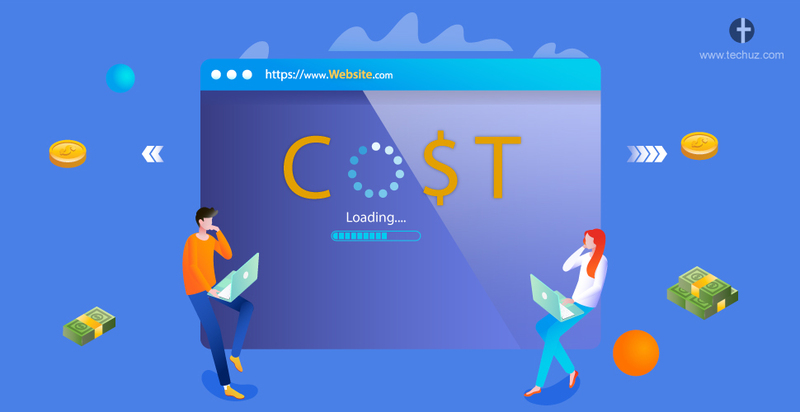 Suggested read: How Much Does it Cost to Develop a Web Application? The agile process we discussed previously – Scrum and Extreme Programming work great with small teams of skilled people. However, when it comes to implementing with a large team, they are not an ideal choice. The reason being – large teams face challenges such as effective communication, frequent meetings and updates, identifying and gauging the skills of the members and more. 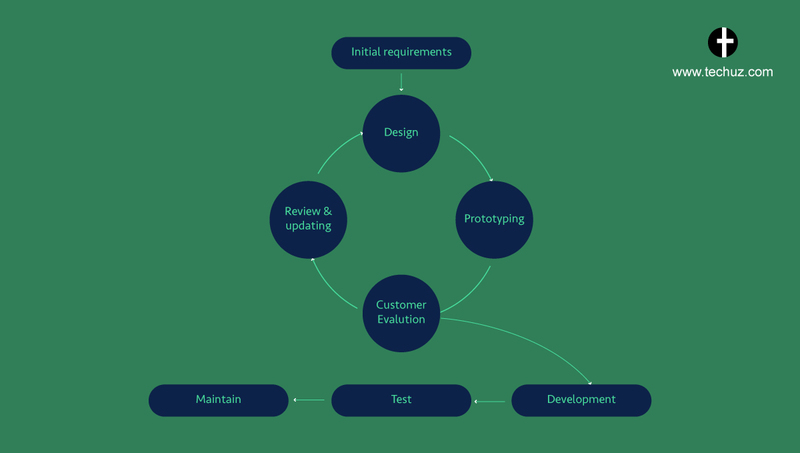 Here, the Feature Driven Development or FDD comes into the picture as an SDLC methodology following Agile Manifesto that also works great with large teams. As the name suggests, “Features” play an important role in Feature Driven Development. The project is divided into chunks as per its features and functionalities. And then planning, design, development and testing are in accordance with these features. Moreover, it also follows the iterative and incremental process. Rapid Application Development is an SDLC methodology to accelerate the development with rapid prototyping of the product. 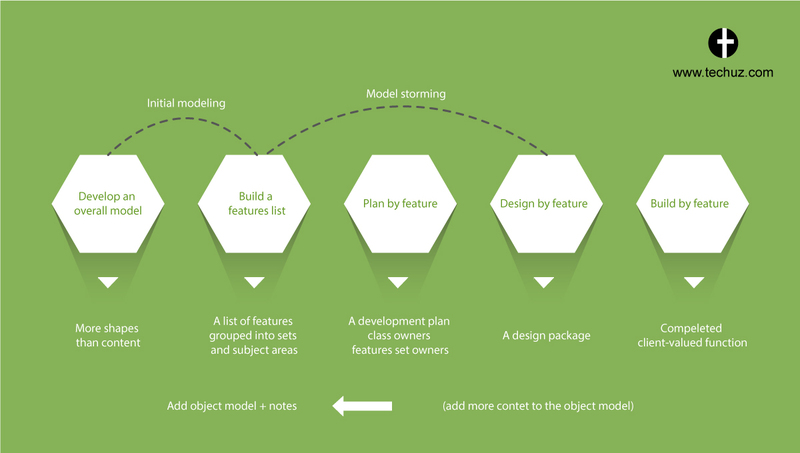 It is an iterative model that focuses more on functional software and prototyping and less on planning. 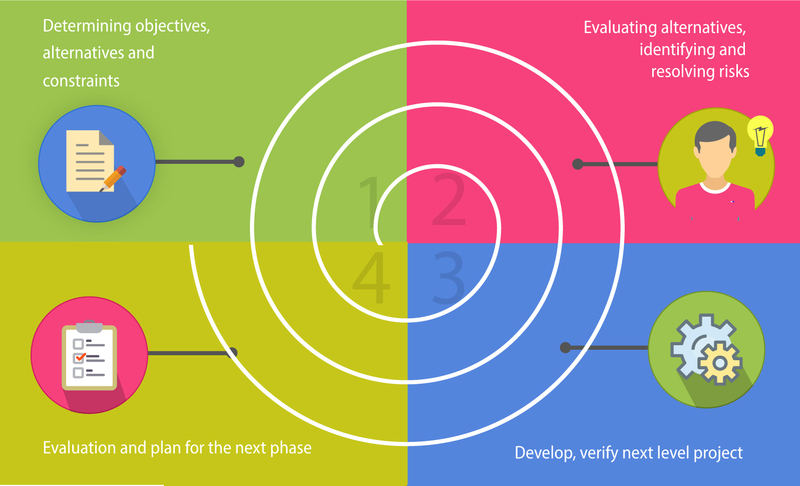 There are four main phases of RAD namely, requirement planning, user design, construction and cutover. The first two being the most important as they go through several iterations until the product is fully refined as per the user requirements. 2. Highly dependent on a strong team. RAD methodology was quite swift but being unstructured it created chaos in development. This fueled the inception of a new Agile Methodology known as Dynamic Systems Development Model or feasible to say DSDM. Developed by a group of project managers in 1994, DSDM is an iterative methodology that focuses on continuous user involvement along with developing it on budget and within the allotted time constraint. 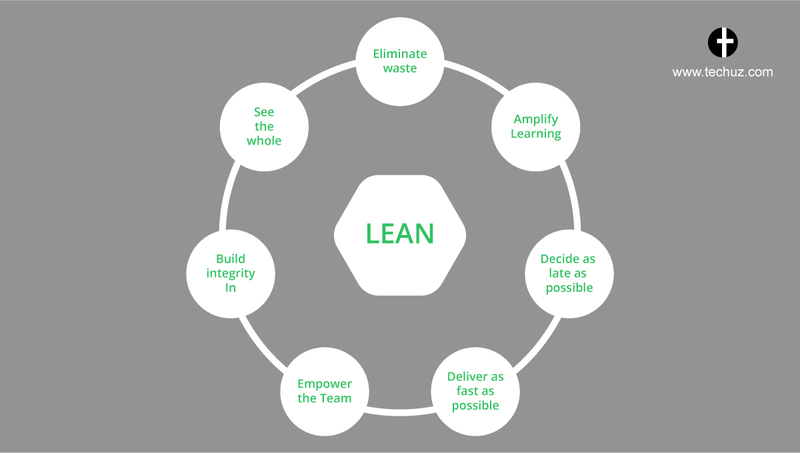 Lean shares quite a few similarities with Agile. In fact, lean is considered to be the model under the umbrella of Agile principles; although, it was coined way before the Agile Manifesto was introduced. It is based on seven principles and values namely, eliminate waste, amplify learning, decide as late as possible, deliver as fast as possible, empower the team, build integrity in and see the whole. At its core, the main aim of this SDLC methodology is to elevating the customer value and eliminating the wastage, i.e. the unproductive activities. This makes is a great choice for the projects with a tight budget. Now you know a dozen SDLC Methodologies. Each has a different use case, peculiar traits, forte and of course weakness. Some focusing on the process while other has end-user at its core. Some are conventional and rigid while some has evolved over the time to serve as per the changing requirements. Choosing the right methodology according to the project needs and the product will definitely elevate the success rate of your project. Or if you are still unsure which SDLC methodology will work for you, feel free to contact us.